Many organizations offer large and mini-grants to volunteers and nonprofits to help create programs to identify individuals with Type 2 diabetes and pre-diabetes, and assist them with coping with the disease. Such programs will help motivate people to live healthier lifestyles, focus on symptom prevention, and monitor blood pressure and blood sugar levels successfully. The rate of Type 2 diabetes in North America is skyrocketing. There are currently 29.1 million people in the US with diabetes, or 9.3% of the population. Fortunately, there are many grants available to help: communities, health care providers, and people that are afflicted by this disease, to make it manageable. Despite the danger of complications, organizations can help treat diabetes patients with programs of managing diets, planning exercises and healthy lifestyles. The financial cost of diabetes is high. In 2012, the disease cost the US $69 billion in reduced productivity and $176 billion for direct medical costs. Numerous organizations and even technology developers are becoming more active in helping those afflicted with the disease, manage it. Diabetes is a chronic disease and those afflicted with it will need to manage their habits and lifestyles in order to control it's effects. It's important that those with diabetes understand the changes that they have to make in order to sustain themselves with this disease. Of course, the effects of mismanaging diabetes can result in high costs as well. Complications that arise from untreated diabetes include hypoglycemia, hypertension (which is associated with heart attacks), high cholesterol rates, stroke, blindness, kidney disease and amputations.Diabetes has been a chronic condition associated with leading to worse conditions if not managed properly. With the exorbitant costs of diabetes, organizations are seeking better ways to treat and assist individuals with managing their lives while battling diabetes. Those with diabetes need to manage a schedule of when to take their insulin, proper times for exercising and even understanding how to eat in order to avoid further complications.These complications are costly, not just for society and stakeholders that range from healthcare providers but also for the patients. There is plenty of responsibility needed from all stakeholders in order to treat diabetes and grants can help organizations in this fight. GrantWatch.com has many health and medical grants dedicated to helping organizations join the battle against diabetes and other medical issues,.making sure people are able to live healthy lives. According to Libby Hikind, CEO and Founder of Grantwatch.com, “Using the advanced keyword search, you may find the exact grant for your organizations, or you can choose a category on the right of the website, like Health and Medical and match your program to the goals of the funding source. About the Author: Christopher Waldeck is currently the social media strategist for GrantWatch.com as well as a contributing writer. 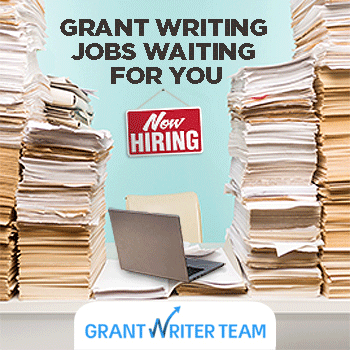 Follow GrantWatch to stay in the loop for more grants.